Late last year I wrote about the 7 questions that you need to ask yourself before buying an investment property. This covered working out your budget, your strategy, your structure and your risk profile. If you have worked through these questions, and completed the groundwork, your ducks should be nicely lined up. This means you’re at the point where you’re ready to start looking for an investment property. Looking for the right property can be exciting and overwhelming all at the same time. 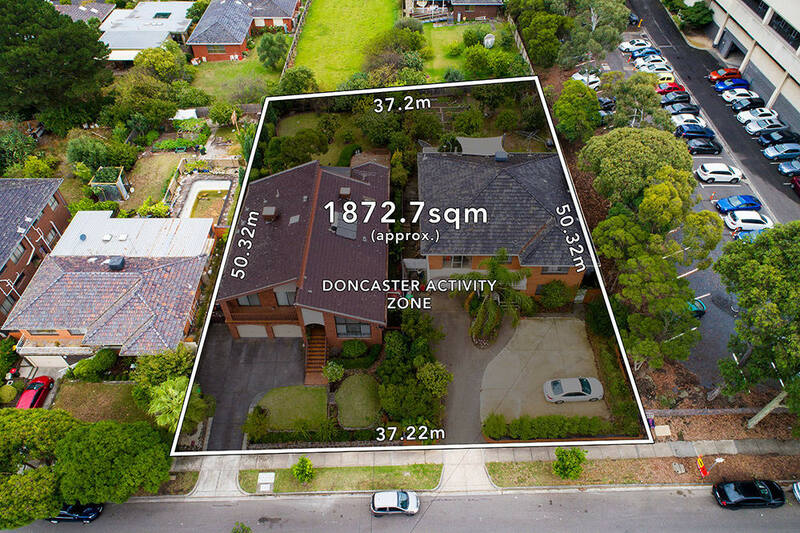 When you’re inspecting the property for its suitability as an investment, it’s important to get as much information on the property as possible. Asking the agent these seven questions will help you get more information on exactly what you’re buying and whether you should put in an offer. 1. How long has the property been on the market? Knowing how long the property has been on the market can tell a story about the property. This is especially true if you know what the average days on market is for your area. If the agent tells you that the property is brand new to the market then it’s experiencing its prime time. It is at this time when the property will likely get the most enquiries and drum up the most interest. If on the other hand the agent tells you that the property has been on the market longer than average for the area, then you need to ask why. Is there something wrong with the property? Is it in the wrong location? Why has it been for sale for so long? Sometimes it’s simply a case of ineffective marketing or unrealistic price expectations. Other times there could be some potential major issues that prevent the property from being sold. Of course if the agent discloses that the property has been on the market for a while, you should always follow up with the question, why? 2. What is the zoning? A good agent will have all the relevant details about the property including the zoning, but sometimes they are wrong or have been provided with incorrect information. The zoning of a property can make all the difference, especially if you plan to add value through sub-division or development. You should always be armed with this knowledge well before you even inspect a property, but it’s always good to ask the agent as added confirmation that the information you have is likely to be correct. 3. Are there any easements on the property? This is along the same lines as asking about the zoning. You should have already done your own research before inspecting the property but it’s always a good idea to ask the agent about any easements on the property. As too, with zoning, any unexpected easements can have a big impact on any development plans. Finding out that a property has an easement that you didn’t know about could prevent you from being able to do what you want. This is definitely something you want to know before you purchase the property. 4. What’s included/ excluded with the sale of the property? So what are you actually buying? This may seem like a no-brainer, but what is included and not included with the property sale is an important question to ask. It’s not always straightforward. Sometimes a property will not include standard elements such as the dishwasher or curtains. While other times the property may come with inclusions that you weren’t expecting, such as an existing rental agreement. It’s always best to be clear from the outset on the details so you have all the facts and can make a more informed decision. For example, a property may be a deceased estate and actually comes with all the belongings of the former occupier. You will need to factor in removal/disposal and cleaning costs if this is the case. 5. Are there any issues with the property? No agent will likely come forward willingly with knowledge about a property that would prevent a sale. Their goal is to showcase the benefits and features. However, if you ask them directly if there is any minor or major issues with the property, more times than not they will disclose if there are. This could include major movement or cracking to the property, termite damage or rising damp. All of these will present themselves at a pest and building inspection anyway. Other significant issues could be the potential of chemical contamination or if there was a death or murder at the property. These are called stigmatised properties and the laws around disclosing this information vary from state to state. There is also the potential for pre-existing or ongoing disputes that you may find yourself inheriting if you purchase the property that might put you off. This could include fencing or tree disputes. All these issues, plus many other potential problems are good to know prior to submitting an offer. 6. Do you have comparable sales for the last 6 months? A good agent will have comparable sales on hand for you to view when you inspect the property. This will help you evaluate the market and the current prices. It’s always important to look at what properties sold for rather than what properties are on the market for. Just because a property is listed at $500,000 does not mean it’s worth that much or is going to achieve that price. The agent should not only give you comparable sale prices but also provide relevant information about the similarities and differences with each property. Many factors can make a difference to the price. Including, extra rooms, location, land size, plus the nice to haves that we all crave… pool, air con, solar panels, etc. 7. How motivated are the vendors to sell? Asking the agent the simple question about how motivated the vendor is to sell can give you an insight into the vendors reasons for selling, and you could potentially adjust your offer accordingly to get the deal over the line. Asking this question opens up the conversation about the vendor and their situation. The vendors may not be in a hurry to sell and are simply testing the market…or on the other hand, the vendor may be highly motivated to sell due to buying elsewhere or for some other personal reason. Buying and selling property is not merely a transaction. There is always a story on both sides and the more you can learn about the vendors story the better you can adjust your offer to make it more appealing. An example of this is finding out the vendor is elderly and downsizing. In this case, selling might be overwhelming and a stressful situation for them, particularly if they have lived in the house for many years and have a lot of possessions that they need to clear out. A simple addition to the offer of allowing the vendor to leave any unwanted items behind for you to dispose of may be enough for them to favour your offer over others. At the end of the day, everyone wants to achieve a satisfactory price for the property, but making the process less stressful is also an added bonus. The more information you can gather from the agent during a property inspection the better armed you will be when it comes time to submit your offer. These seven questions will get you started with gathering that all-important information. Katie Marshall is a Designer, Project Manager, Property Investment Advisor, Author and Founder of Chicks and Mortar®. Chicks and Mortar® helps empower women to make smarter, more profitable property choices. Find out more at chicksandmortar.com.au or buy the Chicks and Mortar the book here. Location or property type – which is more important? What ongoing expenses are involved with property investment? Not all properties sell quickly. This is not to say that there is anything wrong with the property. If you live in an area out of Sydney on a property that is in a higher price range, say 1.5 million higher than the median house price, there are fewer purchasers, but that does not mean that the vendor is desperate and should accept less for their higher property investment. If the property offers a second dwelling, that too might not suit all buyers. I think that agents should explain to buyers in this situation that time doesn’t fit into the equation of snatching up a property because it’s been on the market for a longer period. If anything, higher end properties, go up, not down.